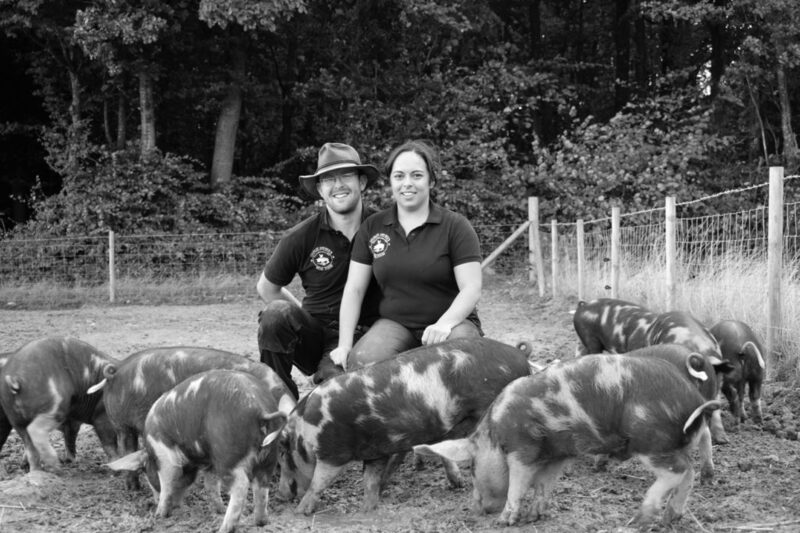 Charley and Nick are passionate about raising high welfare, 100% Free Range Pork. All their pigs are British, traditional breeds with cosy arcs and plenty of space to roam throughout their entire lives. Based in Beckley, East Sussex as well as being the local vet, Charley and Nick sell both locally and around the country. They produce Traditional Breed, Free Range Sausages in Five Flavours, Tasty Plain and Marinated Pork cuts and spice mixes to make the tasty free range meals. You’ll find them in our Peasmarsh special dedicated ‘Local Hero’ freezer section along with other ‘Local Hero’ products.